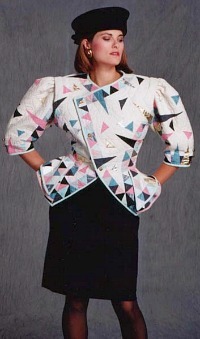 With the nearly daily moves to record highs among the hundreds of cryptocurrencies that currently exist, talking about ‘regular’ currencies seems about as out-of-fashion as that hideous shoulder pad trend from the 1980s. But there are actually a few currencies out there worth talking about right now. And top among them, especially for anyone holding US dollars, is the Hong Kong dollar. The Hong Kong dollar is different because it is ‘pegged’ to the US dollar at a pre-determined rate. Unlike the euro, pound, yen, etc. whose exchange rates fluctuate on a daily basis (and occasionally have major, violent price swings) the Hong Kong dollar is set at 7.80 HKD per US dollar, plus or minus a very narrow band. The Hong Kong dollar has effectively traded between 7.75 and 7.85 for the past three decades– a variation of about 0.64%. This barely registers as a rounding error. Now, there are a handful of other currencies which are also pegged to the US dollar. In Africa, the government of Eritrea pegs its currency (the Nakfa) to the US dollar at a rate of 13.5:1. Even Cuba’s government pegs its “convertible peso” to the US dollar at 1:1 (less some absurd exchange fee). 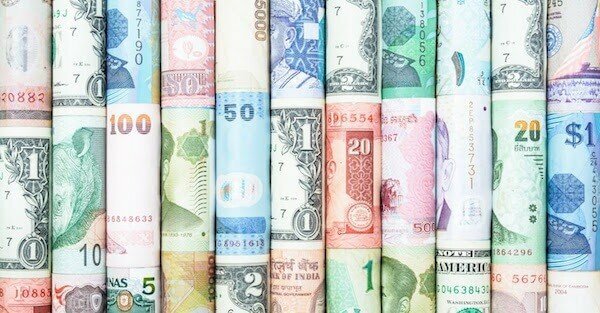 But none of these currencies is a viable alternative to the US dollar. The US government’s finances may be in shambles, but Eritrea’s, Cuba’s, and Venezuela’s are in much worse condition. Hong Kong is a rare exception in the world. The Hong Kong Monetary Authority, the country’s central bank, is among the best capitalized on the planet. Plus the government is awash with cash and routinely runs substantial budget surpluses. Hong Kong has virtually zero debt, and nearly $1 trillion Hong Kong dollars ($126 billion) in net foreign reserves. That’s a public savings account worth roughly 40% of the country’s GDP. Hong Kong’s Net International Investment Position, which is essentially a reflection of the government’s ‘net worth’ is about $1.25 TRILLION, or 380% of GDP. This is nearly unparalleled. By comparison, the US government’s net worth is NEGATIVE $65 trillion– roughly NEGATIVE 350% of GDP, versus Hong Kong’s POSITIVE 380% of GDP. One country is broke. The other is a financial fortress. And while the US government’s liabilities keep mounting, Hong Kong’s foreign reserves keep increasing. Between the two, it’s pretty obvious that Hong Kong is in vastly superior financial condition. And that’s what makes the Hong Kong dollar so compelling. By holding Hong Kong dollars, you essentially get all the US dollar benefit without having to take the US dollar risk. If the US dollar remains strong, the Hong Kong dollar remains strong. The two are virtually interchangeable. But unlike holding US dollars (where your savings is linked to a bankrupt country), Hong Kong dollars are backed by one of the most solvent, fiscally responsible governments in the world. So if there were ever a US-dollar crisis, Hong Kong could simply de-peg its currency… meaning anyone holding Hong Kong dollars would be insulated from the consequences of the US government’s pitiful finances. It’s like having a free insurance policy… which is what an effective Plan B is all about. Right now is a good time to think about moving some savings into Hong Kong dollars. The Hong Kong dollar spent the last several years at the extreme ‘strong’ end of its trading range (7.75 HKD per US dollar). It’s now back to 7.80, right in the middle of normal trading range, so it’s a slightly better entry point. … especially if your currency happens to be overvalued. The US dollar has been artificially strong over the past few years. IT began a multi-year surge back in 2014 for no apparent reason. GDP growth was tame, US debt kept piling… there was no fundamental, logical reason for the US dollar’s sudden strength. I took advantage of this anomaly by trading overvalued US dollars for high quality assets (businesses, shares, real estate) in countries with undervalued currencies– like Australia, Chile, Colombia, Georgia, UK, Russia, Canada, etc. This strategy decreased my risk and increased the odds that the investments will perform well. As an example, I bought some assets denominated in British pounds (GBP) immediately after the Brexit vote when the pound sank below $1.20. The pound is now around $1.32, about 10% higher. So even without factoring in the share price appreciation or dividends, those GBP investments have already made 10% in US dollar terms. In Australia, I acquired a private business at a time when the Australian dollar was at a multi-year low. Similarly, the Aussie dollar is up 10% since then, so there’s already a built-in gain. The US dollar has definitely lost some ground this year and isn’t as strong as it was in 2015 and 2016. But the US dollar index is still at a higher level than its long-term, trade-weighted average, so there’s more room for the dollar to weaken. This means it’s still a good idea for US dollar holders to consider some high quality foreign assets… and at a minimum, think about that free Hong Kong dollar ‘insurance policy’.